Resonance | "For the Map is Not the Terrain"
With the Tory Party Conference looming near here in Manchester, what is to be expected and what is to be hoped for? Review Article: Intern Nation, Ross Perlin, 2011. It is clear that the economy has changed dramatically since the 1960s. “Flexibility,” “creativity” and “entrepreneurship” are very much the buzzwords of the form of neoliberal capitalism that have replaced the secure, unionized and relatively well-paid work which parts of the Global North enjoyed in the 1960s. However, behind the language of flexibility and personal fulfillment used by the gurus of the new economy the real experience for most of us is increasing precariousness, falling real wages and the erosion of the welfare state. Ross Perlin’s first book seeks to uncover and politicize one of the key actors in our new economic landscape: the intern. In “Intern Nation: How to Earn Nothing and Learn Little in the Brave New Economy” Perlin, a researcher for the Himalayan Languages Project in southwest China and former intern, examines the economic role of the internship industry and the raft of academic institutions, government bodies, corporations, non-profits and internship brokers responsible for creating and maintaining the current interning conditions. Why is a book on internships important? Isn’t it just paid workers who have the power in our economy? The role of interns to the global economy is, as of yet, understudied, but likely to be vast. Perlin estimates that between 1 and 2 million people annually take internships in American organizations alone, saving firms an estimated $2 billion. Many firms have factored scores of unpaid interns into their business plans. The impacts of an intern wide general strike could be devastating. Disney alone has employed 50,000 interns via its college program, with many working unskilled jobs at Disney World, over the past 30 years. With the destruction of the negotiation strength of many unions, these young interns are being exploited whilst simultaneously having negative effects on the security of many paid staff. With the benefits many organizations reap from the annual hordes of internship-seeking young people it is unsurprising that entry level jobs are disappearing, in turn making internships even more vital. In some careers working for free as an intern is a vital step towards ever finding paid work. For those unable to support themselves through a stint of unpaid work, many careers will be permanently inaccessible. This is one of the first critical books on the intern explosion and is an important read for labor organizers, young people in or considering internships and those of us on the Left in general. Perlin’s book is, ultimately, an impassioned argument for reclaiming the lost rights and privileges of workers, and in the author’s own words, a “step towards sanity and towards justice.” We need to begin recognizing that interns are workers and should be supported and remunerated for the work that they do. Perlin is quick to explain that being an intern today can entail a variety of different things, from paid and structured programs to non-paid, menial and draining work for little if any reward. These are offered by all forms of institutions from small businesses to non-profits, government bodies to global corporations and the experiences they offer vary between them. Indeed the term intern is a slippery one to define, both academically and legally. The term is traced back to its origins in the United States where the practice of interning (read confining) medical students within an institution for 1 – 2 years before becoming fully fledged doctors was its first use before being adopted by state and municipal levels of the government as a fast track form of recruitment. However it wasn’t until the 1960s when the practice truly expanded into other sectors, seeing a true explosion from the 1990s. This trajectory is likely to be mirrored in most parts of the Global North. For Perlin, the rise of the intern is related to changes in the functioning of the economy and he links his history of internships to The New Spirit of Capitalism as articulated by sociologists Eve Chiapello and Luc Boltanski. Internships are, for Perlin, the outcome of changing forms of work combined with concerted attacks on the wages and conditions previously won by workers. The rise of unpaid forms of work, and young people willing to take them, are connected to the increasing “flexibility” required by workers within neo-liberal capitalism. Exploitative, non-educational, menial and unpaid internships are being developed and facilitated by a nexus of non-business actors. Perlin points out the integral role played by universities selling cheap academic credit, criticizes the internship economy in Washington D.C. and meets several firms in the burgeoning intern brokerage industry. This exploitation is justified in terms of the supposed educational experiences which those taking part will garner. “Intern Nation” is packed with interviews of current and former interns that explain that this often amounts to thankless, menial tasks such as letter stuffing, coffee making and photocopying. Interns at Disneyland can expect to work in the gift shop, the onsite hotel or the bathroom facilities as part of their internship. Whilst once these tasks would have been paid, now they are offered as exciting, unpaid educational opportunities supported by academic institutions with scores of graduates and students, desperate for experience, clamoring to sign up. The current state of interning is defended academically by a whole host of educational experts promoting “experiential learning” and “situated learning” whilst many campuses in the U.S. have made attending at least one internship mandatory for graduation. The blurring of the line between education and employment in the economy is symptomatic of the raising of tuition fees in many countries and the active development of the current, exploitative internship model by educational institutions. As the lines between students and unwaged workers blur, perhaps interns can take hope from the struggles of students across the world from the U.K. to Chile, Greece to the United States who have occupied, demonstrated and even rioted to challenge the role which education is currently assigned in our society. The reduction of education to preparation for employment paves the way for the exploitative internships we see today. These actions have shown that the processes of neoliberalism which began in the 1960s and are being redoubled in the face of systemic crisis can be challenged, and that other ways of running our society can come into being. Perlin shows that slowly the amount of lawsuits against exploitative employers is rising as interns realize their rights and begin to fight for them. In the U.K. interns are outing those offering unpaid “internships” to replace paid work and groups such as the Carrot Workers Collective seek to continue building bridges between students (future interns) and interns (ex and future students). It is telling that labor unions are barely discussed in this book. Labor unions will have to alter their understanding of their role and their membership criteria in order to accommodate and support the struggles of this generation of exploited interns. Indeed it seems clear that the struggle over the rights and conditions of interns is a modern form of labor struggles which in previous ages secured many workers the guarantee of a better life. Perlin’s book is an interesting and well researched exploration of an under-exposed phenomenon. Whilst focused on the United States its findings and conclusions are universal. Jam packed with shocking statistics and revealing interviews with interns and those that employ and coordinate them, it provides an inside view into the topic and a welcome break from the hordes of self-help books proclaiming the value of an unpaid internship. As we begin to look at the fundamentals of our society the ways in which our young people are integrated, unpaid, into the economy must be politicized and challenged. Hopefully, the origins of resistance to exploitative internships can be seen emerging; now we must find ways to stimulate and support these. This article was originally written for Left Eye on books and was published on 11/10/11. Online now at Shift magazine. Follow the link to the Shift site. Also, if you haven’t read it, check out my review of the book edited by Occupied London, ‘Revolt and Crisis in Greece: Between a Present Yet to Pass’, follow the link to the Shift article. Recently translated from the original French, Ngo Van’s In the Crossfire, by the lovely people at AK press (cheers for the review copy!) is a fascinating biographical account of Ngo’s life and political activities in French (and Japanese) dominated Vietnam. Ngo humbly show’s us an insight into the ways in which struggles against the French colonial regime manifested themselves and reminds us that the resistance was far greater than that controlled by organised left groups and professional revolutionaries. The book describes secret propaganda centers, armed uprisings and the indifference of the Colonial apparatus (be it controlled by the French or the Japanese) to the suffering of the Vietnamese people. It traces a path through Vietnames history from Ngo’s early political involvement in 1931 to Japanese occupation in 1940 and culminating with armed uprising against the returning French. In 1948 Ngo took sail for France. 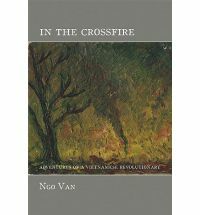 Ngo’s book publicises a previously (or at least to this readers) hidden history of the Vietnamese national liberation movement. Squeezed between the colonial regime and the increasingly murderous Soviet backed Viet minh an alternative radical movement of which Ngo Van was part of was crushed. As Ken Knabb, in his short but articulate introduction, reminds us anti-colonial struggles were not necessarily doomed to the horrors of Stalinism or hyper-exploitative capitalism. The outcome in Vietnam and China and many other places could have been very different. In Europe we could, possibly, say the same of Leninist Russia or Spain in the civil war. This book helps us to see a hidden, history of political struggle repressed by the victors. Once made public, this secret history simultaneously ‘opens history up’ and allows us to see the historical defeats and false victories of the Left as always contingent and uncertain. Left movements are and can be actors in political struggle who’s outcome is unknown not merely extra’s in a history beyond human intervention. In the Crossfire presents an interesting, alternative history and a forceful critical perspective on anti-colonial and ‘third worldist’ struggles. Through his biographical account and some of his published articles we see the complex reality of third world struggles, the hardships of fighting brutal colonial regimes (in this case the French and Japanese) and the difficulties of organising with Soviet controlled organisations. This book provides a criticism of the simplified pro-resistance positions of many students movements in the West at that time. A criticism which still has resonance today as can be seen with regards to the Iraq, Palestinian and Sri Lankan conflicts amongst others (See Moishe Postone’s excellent ‘History and Helplessness’. Indeed Ngo explicitly critiques Western solidarity movements and their often uncritical support of national liberation movements in an article entitled ‘On Third World Struggles‘ included in this publication. Also included is an article by Ngo describing experiences in a French factory in the throes of 1968. Although short and fairly narrative in tone, this article is a damning critique on the pacifying role of the Communists in the French struggles of 1968. Read together with his personal experiences of Stalinist sections of the Left in Vietnam, a strong thread of autonomist politics can be read through this book. Although a member of a Trotskyist organisation in Vietnam this was, as Ken Knabb notes in the introduction, down to the socio-political context in which Ngo found himself. After travelling to France Ngo did not join any organised leftist groups and remained critical of those attempting to pacify social struggles throughout the rest of his life. Whilst similar to Orwell’s Homage to Catalonia, this is more than an anti-Stalinist book. Harnessed to a fascinating, thrilling personal narrative is an insight into another possible outcome of the Vietnam war and a critique of national liberation struggles those of us in regions with solidarity campaigns would do well to heed. Fairly generalised social unrest and disobedience. A weak and squabbling government with barely any mandate. A growing counter-power within parliament comprised of Leftist parties. I’m far more sceptical of this one. Pappas points to the lack of law enforcement capacity as a key weakness of this government. It’s clear that when the economy is in crisis the state must resort to whatever methods necessary to restore order. However, the heavy hand of the Greek police force seems to be struggling to deal with the generalised levels of resistance. With the likelihood of another financial package being tied to renewed austerity measures we seem to be moving towards an interesting position. If the people can resist the implementation of more cuts and make the state ungovernable then Greece may be forced to default (a partial default appears to be on the cards it seems), this could put the Euro in jeopardy. 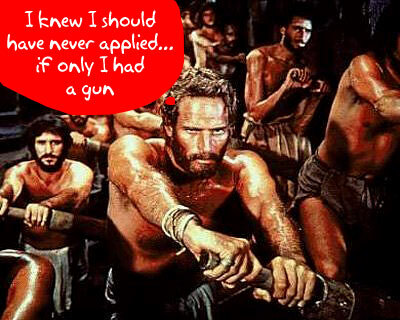 Would the Greek people be better off with a default? I certainly wouldn’t know how this would pan out and would be interested in seeing whether a default would be a platform around which to campaign on both in Greece and here in the UK. Anyone with a handle on the economical side of this care to help me out? I’ve just finished reading this great article by Donald MacKenzie in London Review of Books. The article discusses the move towards the automation of financial transactions in the stocks and shares market and the implications that this has for the geography of finance and, more importantly, for the stability of financial systems. I found it a really fascinating insight into the functioning of financial markets today. The key process which MacKenzie is discussing is the move from the trading floor to the rented server as the site of financial transaction. Human beings can, and still do, send orders from their computers to the matching engines, but this accounts for less than half of all US share trading. The remainder is algorithmic: it results from share-trading computer programs. Many new recruits to financial firms are Maths and Physics PHD students who will join large programming teams to develop financial algorithms based on physical models previously used to understand processes such as the expansion of gases. Finance is yet another industry in which we are seeing the replacement of living labour with machines. The bulk of the research also suggests that automated trading makes the buying and selling of shares cheaper and usually easier. Renting rack space in a data centre may be expensive, but not nearly as expensive as employing dozens of well-paid human traders. The is certainly another argument against the whole ‘evil banker’ hypothesis so prevalent in many oppositional politics. It is not morally suspect humans to blame for the financial crash but the inter-play of a variety of factors within a highly complex yet structured system. A critique of capital can not stop at ‘hanging the bankers’ or a critique of the fictional or virtual financial economy. Also, the concept of algorithms is useful when it comes to attempting to analyse the development of capitalism. We need to move away from previous understandings of capitalist development as the unfolding of immutable laws. This is a closed understanding of Capital, in which the possibilities of beyond capital, and our agency to affect this is highly limited. By changing our vocabulary from the law of capital to that of algorithms, or processes, our perspective changes. Rather than a unified, unstoppable juggernaut we begin to see a more chaotic, open and ultimately more fragile set of processes which we can collectively label as capital(ism). A set of processes who’s strength, hyper-flexibilty, is also its major (internal) weakness. Recognizing the inherent fragility of capital is vital if we wish to move beyond and against it. MacKenzie then goes on to discuss a mini-crash, which lasted for 20 minutes on the 6th May, 2010. A crash which saw the overall value of US shares fall 6% in 5 minutes, a crash in which Accenture’s shares fell from $40.50 to a cent, whilst Southeby’s shares spiked to $99,999.99. Through Mackenzie’s exploration of this mini-crash we are given a brief glimpse into some of the processes helping to shape the current financial context we find ourselves moving within. MacKenzie ends with concerns over a financial system which is both highly complex and tightly coupled – a system with little decision time built into it. Whether operated by humans or computer programmes the stocks and shares market is still highly volatile. Overall, a really great article and well worth a read. This has also let me flex my new designs’ muscles, check out the cool little icon on the top right of the home page. Chuffed! On other notes, I’m re-reading the Turbulence collected book ‘What would it mean to win’. Expect some musings in the near future. This is one of the strongest issues that we have put out as of yet. Go grab your copy from a good info-shop, book store near you. Our editorial is online here. Recent publications dealing with Awkwardness, Class as portrayed in Cinema and modernist architecture perhaps stray from political rootedness and engagement but Southwood’s contribution to the series does not fall prey to this. Southwood’s topic is the form which work takes in the 21rst century in the Global North. Beginning with his experiences and subtly incorporating post-autonomist theorists to support his claims, Southwood produces a bleak picture of the conditions in which many of us are forced to sell our labour power. Non-Stop Inertia serves as an excellent introduction to the key concepts needed to unpack our current political economy. Notions such as precarious labour, affective or emotional production and the privatisation of unemployment are introduced and explored throughout the text. Indeed, in the context of austerirty measures and predictions of a jobless recovery Southwood’s investigation of the privatisation and management of unemployment is particularly worrying. The book is littered with personal observations and a succession of stimulating yet also challenging ideas. Southwood deals with a complex and oft tricky topic and simultaneously avoids the dangers of over-simplification (i.e. we all face precarious work in the same way) and hyper-specificity (i.e. there are no universal labour conditions that we can analyse). What emerges is a timely analysis of work in the Global North. It is surprising that this is one of the only notable introductions to precarious theories that I can think of. One can only assume that this stems from a reluctance from much of the non-union/workerist orientated Left to deal with the new conditions of work. Given the context Southwood’s book is an even more important read. Perhaps the only weakness of the text comes towards the end when Southwood turns towards discussing possible means of resistance. His argument centres around the concept of ‘campness’ of over-exaggerated seriousness and the micro-tactics of individual resistance. Whilst this is no doubt important I am unconvinced that this is enough to challenge the hyper-flexibility of 21rst century capital accumulation. Southwood himself recognises that his suggestions are not likely to yield revolutionary results but (quite rightly I think) are strategies for attempting to limit the alienation felt in the immaterial factories of the UK today. The lack of serious antagonistic strategies, in many ways, highlights the conspicuous silence of those on the Left orientated around workplace struggles and the limited thought put into re-orientating workplace struggle in a period of precarity and austerity. Discussions around strategies for dealing with precarity, however difficult they are right now, are likely to prove useful as resistance to the cuts and austerity broadens beyond set-piece street battles. Given the oft daunting task of wading through post-autonomist and political economic theory (e.g. The New Spirit of Capitalism) Southwood’s book is a welcome jump off point and a real success for Zer0 books. It delivers an accessible, challenging and altogether human analysis of labour conditions in the Global North and is an important contribution to a discussion much needed within the Left at large. A new job and the looming Shift Magazine deadline have taken me out of action. Expect some new posts in the near future. Manchester to Refuse to Implement the Cuts! Manchester Mule, first to every news story, read all about it here.